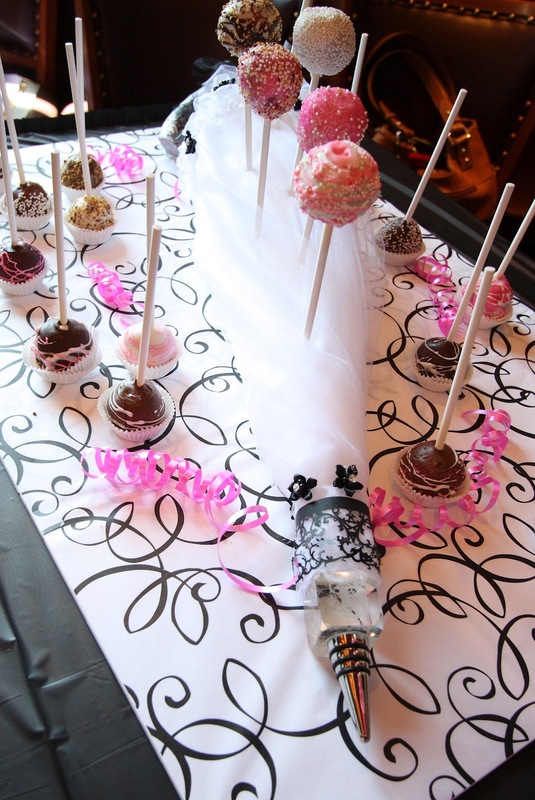 I mentioned in my previous post that I was on cake pop duty for my daughter's bridal shower, so of course I wanted to come up with a fun bridal shower themed display....after all, next to eating the cake pops, that's my favorite part! So, I decided to use a parasol in the black and white colors chosen for the occasion. The tip of the parasol is a wine bottle stopper that I found in the clearance aisle at Hobby Lobby. What a find!!! The cone obviously became the body of the parasol; I broke the heart into two pieces and cut a smidge off the base to become the handle. To secure it into the body I took a piece of wire hangar and placed one end up into the core of the handle and the other into the cone. For good measure, I used the glue gun as well. Then it was a matter of wrapping the cone with the tulle strips; I twisted as I went. That way it resembled an umbrella when it's in the closed position and snapped tightly shut. I wrapped the handle with the black/white scrapbook paper using ModPodge to glue it onto the handle and then I coated it with ModPodge to give it a nice finish. The ruffle trim went around the top, near the handle. I glued the entire parasol onto a foam core board I had wrapped with a black/white tissue paper. I only put six pops into the parasol; the rest I put in little cups around the board. I glued one cup to the board; the pop was sitting inside a second cup that could just be taken from the board. Since I needed to drive it to the restaurant, I didn't put the pops into the parasol until I got there. Those on the board I knew would be okay, if I took it slow. So, after driving like a granny the entire way, and going over the railroad tracks in slow motion.....I made it and my "babies" did okay enroute. I had made some "pilot holes" in the parasol with a screwdriver, so that I could easily put the pops in without the sticks breaking or bending. They were pretty tasty, if I do say so myself. I made lemon cake and chocolate cake and had three different coatings: white, milk chocolate and dark mint chocolate. I always have leftover cake when I make cake pops since I make a 9x13 inch sheet cake of each flavor. I use half of each flavor and freeze the rest. I know, I know I could make just one cake and call it good....but what fun would that be? It was a great day. My daughter looked especially pretty and so HAPPY! We were missing some important family members, but that happens when family is spread out all over the country. We were grateful to spend the afternoon with those who could make it and the wonderful friends we've made over the years, some date back to before Katie was born! 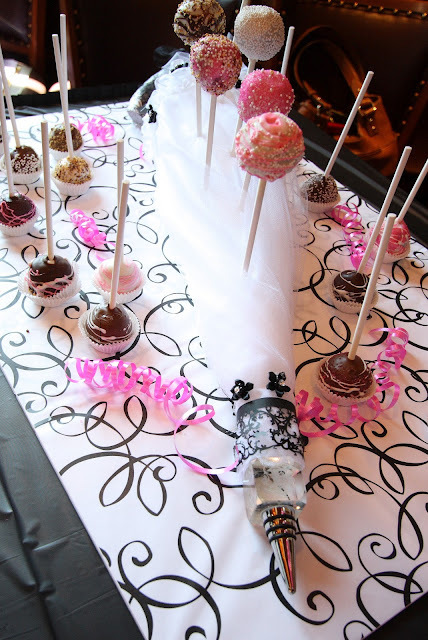 When I asked my daughter's friend how I could be of help for the bridal shower, she asked me if I could make some cake pops (she had been to the graduation party recently when I had a table full to choose from) and if I could also help with the favors. She already had something she had planned, but wanted to have two goodies for the guests. So, I asked what she thought of giving homemade sugar scrub. I've given sugar scrub before for Christmas gifts and she thought it was a novel idea, so here's a look at an easy and fun gift giving idea. The first thing I did was find some cute jars. The Container Store had some fun little jelly jars that I thought would be just the right size. Next up, lid covers and labels....where else but my neighborhood Hobby Lobby, of course. 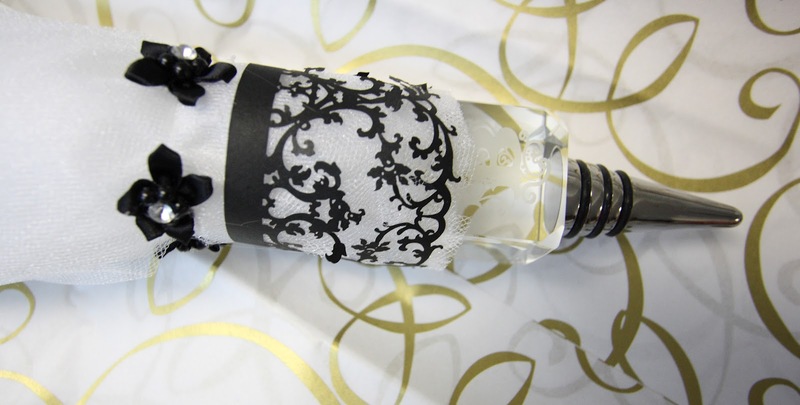 The color theme for the shower was black and white with pink accents. That's so popular right now, that I knew I would have a wonderful selection of craft items to choose from. I found a package of blank white labels. On the front side, I decorated and titled the tags "Sugar Scrub". I had fun with paints, markers and glitter decorating them all. "Made by my hands for your hands"
I found some great black and white damask looking scrapbook paper. I traced the lid size and went to town cutting circles and gluing them to the lids. Sugar scrub is so easy to make, and most gals really like it. It's a special treat for the hands and heels of your feet too! Add whatever type of essential oils you want to add for fragrance. I have used grapefruit and lemon; I love both since they are light and citrus based versus really perfume based. They remind me of summer and give a special spa-like feel. I found the oils I used at a health food store, with the other aromatherapy goodies. For this project is was a touch of red to make it a light pink. That's all there is to it! The scrub itself, depending on how much you are making takes five-ten minutes tops. Then spoon the mixture into the jars, add some ribbon, the label and attach a little spoon. I found these at World Market. So, add another ten minutes for each jar and you've got a simple and special calorie free treat that will be enjoyed for weeks to come. I've been anxious to share these with you, but wanted to wait until they were in the mail since some of my readers are also invited to the wedding and I didn't want to spoil the surprise. I always love getting wedding invitations in the mail; the beautiful handwriting, wedding stamps, special envelopes....not to mention, feeling so very special to be a guest at such a special occasion. For me, the invitation says so much about the families and the couple, plus it sets an expectation for the guests. I still remember when my daughter and I spent time at Hobby Lobby choosing the papers (it was months ago) we were going to use. We chose three different types of paper; a hard card stock in green, a natural fiber paper with a leaf and fern imprint and a vellum. As you know from previous posts, the wedding is in September, so the autumn theme is throughout all aspects of the wedding; from the invitations to the flowers to the decor. We were really excited when we found the papers; the green background of the card stock would be a great frame and the leaves coming through the vellum would add just the right touch. I've always liked the clean and elegant look of vellum invitations, so you'll see that the RSVP cards are made with a vellum overlay as well. I will tell you, I was a bit nervous about how my printer would handle vellum. It's been known to have fits with some unique papers. But, I was pleasantly surprised that it went very well. My daughter brought a paper cutter home from her work and I went to town trimming everything to just the right size in a fraction of the time it was going to take with my pattern shears. The picture below shows the backside of the invitations. I chose to purchase pocket cards to assemble the invitations. I used glue dots to adhere the invitation to the front side and then added the map, RSVP card, "Things to do in Colorado" (for the out-of-towners) and a silk leaf. I liked the nice, neat presentation with everything all organized inside the pocket. To the right are the three papers that I used. I made the leaf paper and the vellum about 1/8" narrower on each side than the green cardstock. I placed two holes at the very top and tied a bow with a sage green velvet ribbon to hold the layers into place. I ordered the pocket cards and all the envelopes from lci paper. There are a number of companies available to choose from; I found their selection and pricing hard to pass up. To the right is the response card with the vellum overlay. I'm in love with the font; dafont.com is a great resource. I've gotten lost in that website for hours looking for just the right font for something I was working on. So, the guest lifts up the vellum, and either accepts or declines on the card beneath. Cool huh? As you can imagine, I'm looking forward to checking the mailbox over the next several weeks. While we have a pretty good idea who will be able to attend, it's still going to be fun to check the mail. Anything other than bills is a treat and for something as special as your daughter's wedding, I'm tickled! Today was a special day, since my daughter and her soon to be mother-in-law came over to finalize the guest list since it's just a matter of weeks before the wedding invitations will be placed in the mail. In honor of the occasion, I decided to have afternoon tea. I've been a tea drinker myself for a number of years, and most recently have gotten hooked on chai tea. So why a tea party? Last year, after living in Colorado for close to thirty years, I finally went to the Brown Palace hotel in downtown Denver which is well know for their longstanding tradition of afternoon tea. It was really a special treat (expensive) that I think everybody should try at least once in their life. So, I thought it would be fun just the three of us girls to enjoy a little pampering. Plus, it gave me an opportunity to pull out some special china that dates back to my Great Grandmother's era. 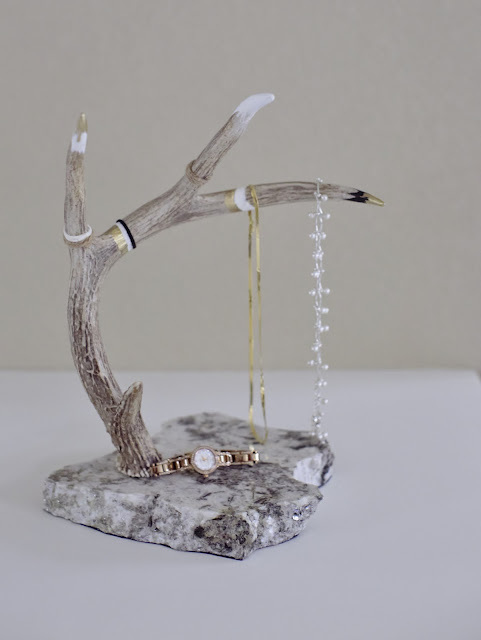 These heirloom pieces are really special. Some of the pieces are literally "fine china", so delicate and hand painted; they added beautiful touches to the table. These little luncheon plates are from my Mom's collection, they have a built in spot for the tea cup. So, I had some fruit and cheese, tea sandwiches and some sweets (of course); after all, what's afternoon tea without scones right? I've been a fan of Celestial Seasonings teas for many years, so I had quite a collection available. That's a fun little tour in Boulder, if you're looking for something unique to do...and totally native to Colorado. Don't forget to stop by the gift shop and the sample room too! You know I got such a kick out of putting this tea together, that I just might have to make this an annual event! I found the favor boxes on-line (ivory 3x3) and have had them in the closet (where the majority of all things wedding have been residing) for some time now. It's been so unbelievably hot, this was a good project to get started on...I was able to hang out in the basement and stay cool. You can find a variety of favor boxes at Michael's, Hobby Lobby and JoAnn's, but most are 2x2 which to me are a bit too small. So, I googled (when did that turn into a verb?) my little heart out and landed on a site that had every possible box imaginable. As you can see the boxes will just need to be assembled once I know how many guests to expect. If I get a posse together, we could knock it out in no time at all....add a little wine, some cheese....hhhmmmm..I'm liking this idea more and more! I'll also be contributing one of the favors for the bridal shower in a few weeks, I can't wait to share those with you as well.